The continuation of growth in the Victorian breeding sector is the number one item in James O’Brien’s priorities, re-elected President of Thoroughbred Breeders Victoria (TBV). The TBV Committee, including newly elected members Caroline Duddy and Matthew Tillett, met yesterday with James elected unopposed. James, who manages the family operation of Lauriston Thoroughbred Farm at Corinella, said he was honoured to continue as TBV President. “The Victorian thoroughbred breeding industry is on an upwards path. There has been significant international investment in Victoria as well as ongoing investment upgrading by established breeders,” James said. “And the racetrack success reflects this growth with no less than 8 Group 1 winners this season bred or sired in Victoria. “It is critical that TBV continues to work closely with racing authorities, sales companies, the state government and other key stakeholders to maximise the returns of Victorian breeders in the sales ring and on the racetrack. “A key part of this is ensuring VOBIS, the nation’s best breeding scheme, is not just maintained, but also enhanced. A Victorian breeder’s pain…and glory! Miracles do happen. Sometimes they turn to fairytales. This one did. It starts with a thoroughbred mare labouring to give birth four years ago. After eight hours, the mare was exhausted and the foal hopelessly jammed. The experts thought the baby colt was dead, or doomed, because its neck was turned backwards in the birth canal. Three vets tried and failed to deliver the foal before the oldest and most experienced vet tried one last trick. They gave the mare an anaesthetic and lifted her with a tractor. Then the old vet used a hook once used to deliver dead foals and calves. He caught the foal’s eye socket and dragged its head around. It worked. But when the foal finally slid on to the stable floor it wasn’t breathing. They tried to revive the colt, long and gangly with a white blaze. He started breathing, which was the first miracle. The vets told the mare’s owner if he took the colt to their clinic in Bendigo — half an hour away from his Sutton Grange property — it could be given oxygen and drugs and half a chance. 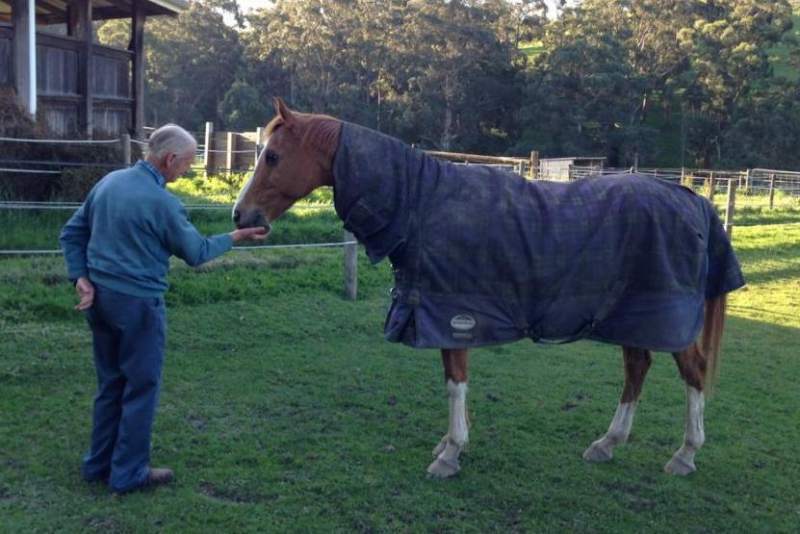 “I threw it in the back of the ute on a horse rug,” recalls the owner, hobby trainer and businessman Paul Banks. The unconscious foal lay there, barely breathing. Twenty minutes later, as Banks drove towards Bendigo, he glanced in the rear mirror and was shocked to see the foal was standing in the back of his ute, swaying drunkenly on giraffe legs. Instinctively, he hit the brakes. The foal hit the rear window with a sickening thud. This time it must be dead, he thought, but jumped in the back and started to pump on its ribcage to try to revive it. A tradesman pulled up, thinking the blood-covered motorist was trying to save a human. To the tradie’s amazement, Banks carried the twitching foal to the door of the brand new ute and put it on the seat. He drove one-handed, his other holding down the foal. At the clinic, the foal got oxygen, a drip and a prayer. About half of such oxygen-deprived foals die but this one didn’t. After a week of intensive care it was out of danger but its future seemed dim. Banks bet one of the vets, Mike Whiteford, a bottle of wine that the spindly foal would one day win a race. It seemed a safe bet to the canny Scottish vet. The colt had been born four months later than thousands of others — and was humbly bred. 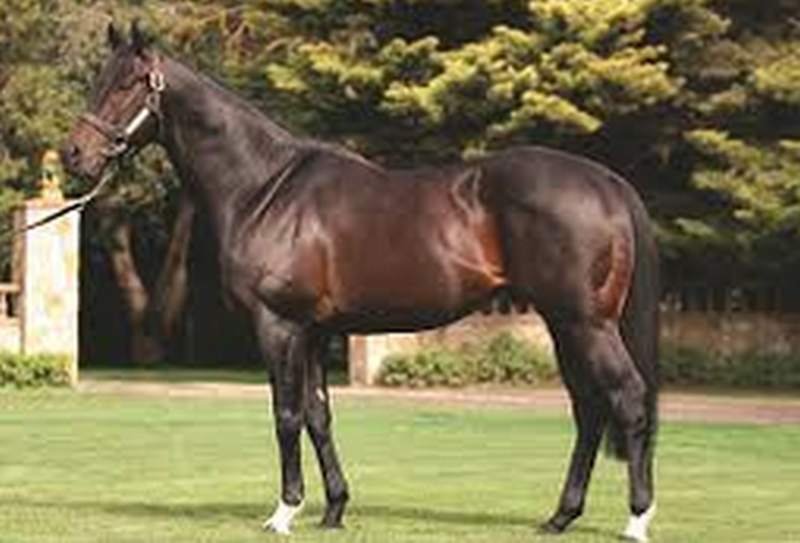 (TBV note: Shield is a half brother by Redoute’s Choice to former Darley Northwood sire Domesday. Shield stood at Nagambie’s Alan Hills Farm for three season before being exported to China in 2013)). Someone told Banks he had “rocks in his head” if he thought he could turn his ugly duckling into a racehorse. He responded by naming the youngster Rocks In My Head, “Rocky” for short. But he didn’t give up. Rocks In My Head had his first start last June on the Geelong synthetic track. He ran seventh of nine at 60-1. Two starts later he ran last of 12 at the same track at 100-1. Bookmakers didn’t rate him then or in his next five starts. Neither did anyone except his part-owner, breeder and trainer. “He just needs time before the penny drops,” he said to people who tried not to laugh. And he believed it. Which is why, before Rocks In My Head burst through the field to win easily at his eighth start last week — at Geelong on Thursday — Banks had a good bet on him at 100-1, then another at 120-1. Add the $15,000 prizemoney and he is well ahead. There’s your fairy story. Except for Mike Whiteford, the vet who bet against the colt making it as a racehorse four years ago. If “Rocky” turns into the next Prince Of Penzance, it’s going to be embarrassing. 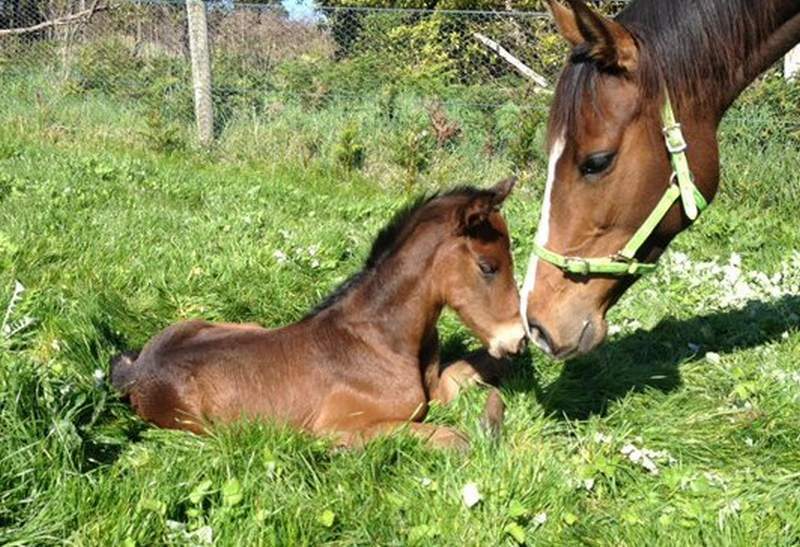 His mum, Western Desire, has been given away to a farm to breed stock horses. And Shield — now sire of three winners — has been sold to an obscure stud in Mongolia. Read the Herald Sun article. A great insight into Victorian First Season sires written for G1X by Mick Sharkie. If the 2017 Inglis Melbourne Premier Sale catalogue is any indication of a fight back, the Australian bred stayer may not be dead yet. The breed for speed mantra has become well established in Australian bloodstock circles but the recent retirement of a number of high class middle-distance and staying stallions to stud, particularly in Victoria, gave hope that strength is still valued by breeders and buyers alike. So while the stock of the latest batch of first season sires will carry much interest this coming season, it is the progeny of a Melbourne Cup winner and an all the way Cox Plate hero that could provide the biggest surprise. In fact Fiorente (standing at Sun Stud Victoria) heads the first season sires at Premier with a hefty representation of 29 yearlings – a strong show of confidence in an era when speed dominates the bloodstock landscape. Cox Plate winner Shamus Award has the second strongest draft of the new sires at Premier with 23 yearlings, further proof that there may be a tide of sorts building behind stamina and strength in Australia. “The Fiorentes are certainly a different style of horse to what I suspected, I was surprised,” said Inglis Bloodstock Manager Simon Vivian. 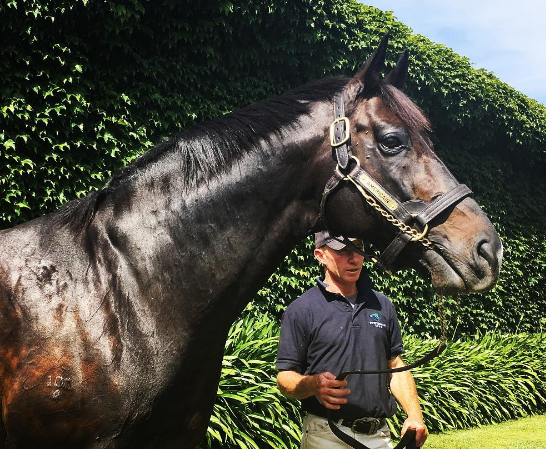 Carrying on from the demand for progeny of sons of the late German sire sensation Monsun in Europe and Japan, 2013 Melbourne Cup winner Fiorente has been well supported since retiring to Sun Stud in Victoria in 2014. Fiorente had 126 live foals from his first season and nearly a quarter of those will be offered for sale at Melbourne Premier. 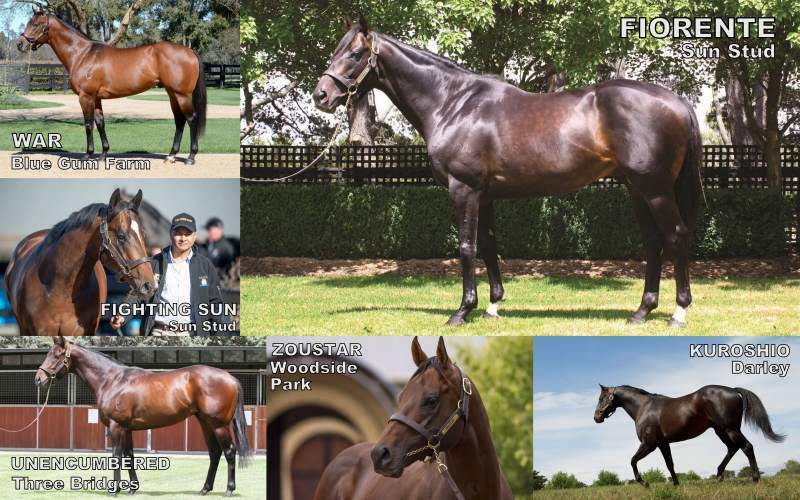 On the speed front, new boys on the block Sun Stud’s Fighting Sun (15 yearlings), Epaulette (15), Three Bridges’ Unencumbered (13), and Woodside Park/Widden sire Zoustar (17) have strong books with the latter two stallions looming as sought after first season sires. “It’s always very interesting to watch how they sort themselves out. Two years ago it was Sepoy, Smart Missile, and So You Think, then last year All Too Hard and Pierro went head to head,” Vivian said. The big names will be well found by buyers but Vivian points to English and Irish Derby winner Camelot as a possible smokey. “Buyers always rally to stallions that they know and that have performed here but Camelot is a very interesting horse,” he said. 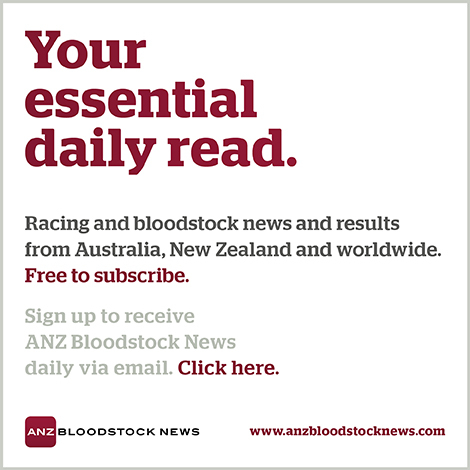 For more racing, breeding & sales news from G1X, visit the G1X News Room. Written Tycoon colt Winning Rupert has stamped himself the most exciting young sprinter in training with a breathtaking victory at Doomben. It is this type of performance that is sure to excite any breeder that plans to sell a yearling by Written Tycoon at the yearling sales in 2017. Winning Rupert blitzed a class field of three-year-olds by more than 5 lengths in the Listed Golden Edition Plate (1200m) stopping the clock at a sizzling 67.97s. The time is just a tick outside the long-standing record held by Takeover Target! Winning Rupert (3c Written Tycoon – Winaura by Show a Heart) was presented by Eliza Park International at the 2015 Gold Coast March Yearling Sale. There’s no black-type close-up in the pedigree, but his obvious good looks caught the eye of Magic Millions manager Barry Bowditch and trainer Bjorn Baker. 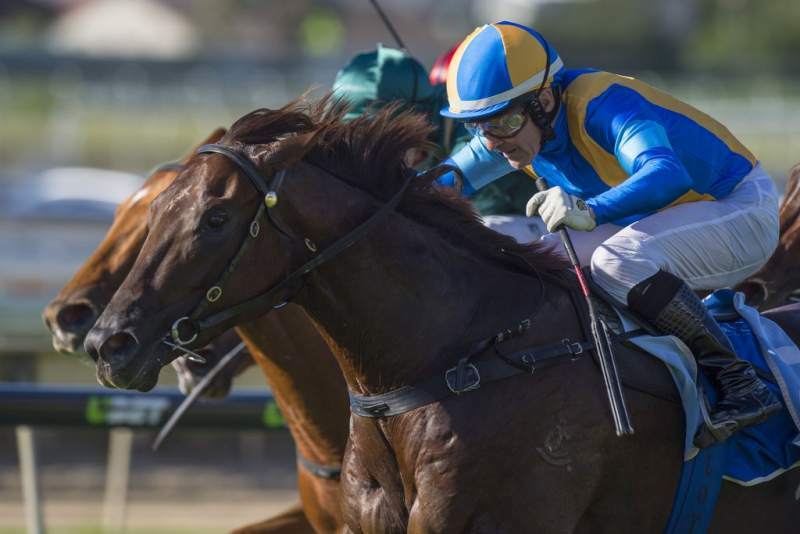 Sold for $67,500, he has now won two legs of the Summer Triple Crown series and will collect a $500,000 bonus if he wins the Group 3 Vo Rogue Plate (1400m) on New Year’s Eve or the $2 million Magic Millions Guineas in January. Baker’s stable representative Clare Cunningham tipped further improvement from Winning Rupert. “He’s an exciting horse and very promising. He’s only has four starts and he can do better,” she said. 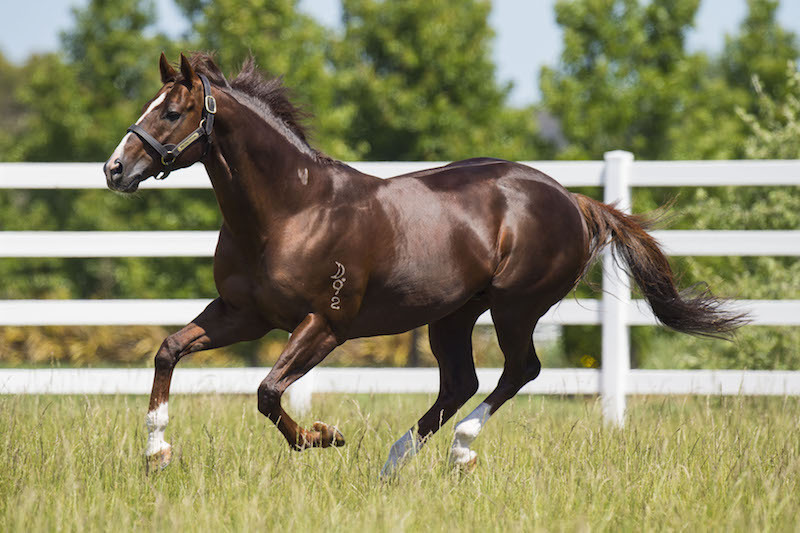 Written Tycoon stands at Woodside Park in Victoria and, in response to an unprecedented winning run, the Tylden operation bumped his service fee from $19,800 to $49,500 after star colt Capitalist won the Group 1 Golden Slipper. The increase didn’t deter broodmare owners. Woodside posted the “Book Full” sign in May and, by November’s end, more than 200 mares visited Tylden for an appointment. This included Helsinge (dam of world champion Black Caviar), Extremely (dam of Group 1 winner Extreme Choice) plus Group 1 winners Samantha Miss, Gold Edition and many more quality broodmares. Written Tycoon’s dominance is expected to continue through his sire sons. Winning Rupert’s unbeaten record already has major thoroughbred investors circling with a bright future ahead on the track and at stud. His champion juvenile Capitalist claimed the 2016 Magic Millions Classic – Golden Slipper Stakes double and will cover his first book at Newgate Farm next year. Woodside Park also stand his brilliant winning sprinter Rich Enuff in partnership with Glenlogan Park. He blazed a trail winning the Group 2 Danehill Stakes and Group 3 Caulfield Guineas Prelude and is just finishing a first-up book in Queensland before returning to Victoria to stand next year. Flinders based Two Bays Farm was celebrating on Friday night when talented three-year-old filly Mystified (Wanted) scored an impressive two-length victory in Heat 9 of the Inglis 55sec Challenge. Mystified is trained in Adelaide by Ryan Balfour for a large syndicate that divided $30,000 in prizemoney and a whopping $35,000 in VOBIS bonuses. She was in cruise control while clocking 55.68s for the sprint distance. 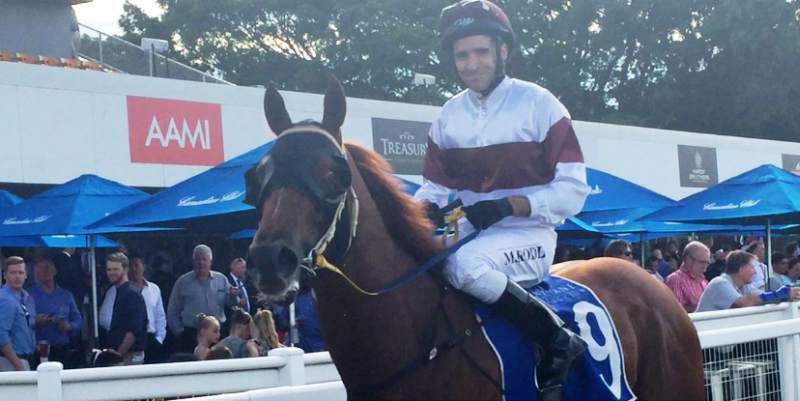 Two Bays Farm sold her to Balfour for $20,000 at the 2015 Gold Coast Magic Millions. She is the only foal of USA black-type winner Ice Mist (Listed Jersey Lilly Stakes) who unfortunately died in 2014. 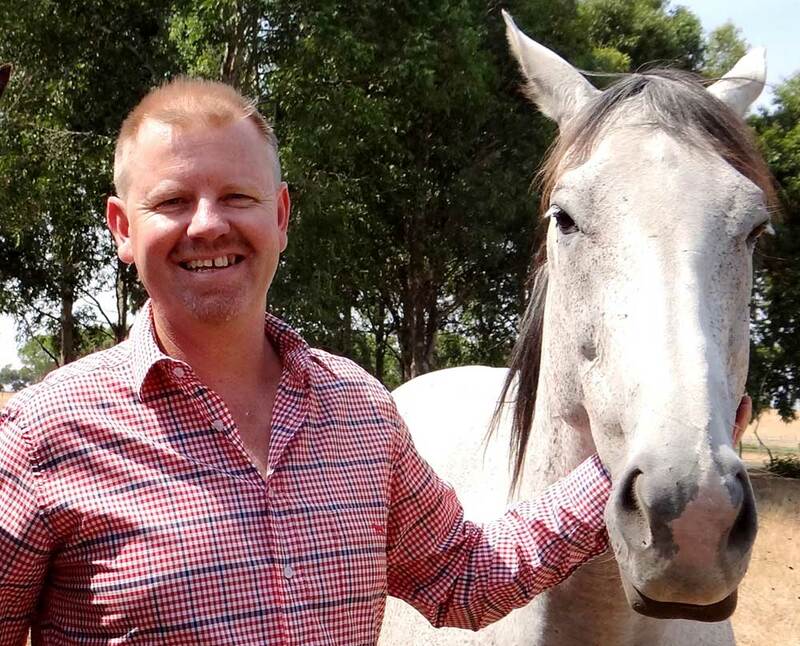 Ross Ferris, who runs a Melbourne based aged care business, owns Two Bays Farm which is managed by Rob Carlisle. “Mystified is actually from one of Two Bays Farm’s very first broodmares in Ice Mist (USA),” says Ferris. 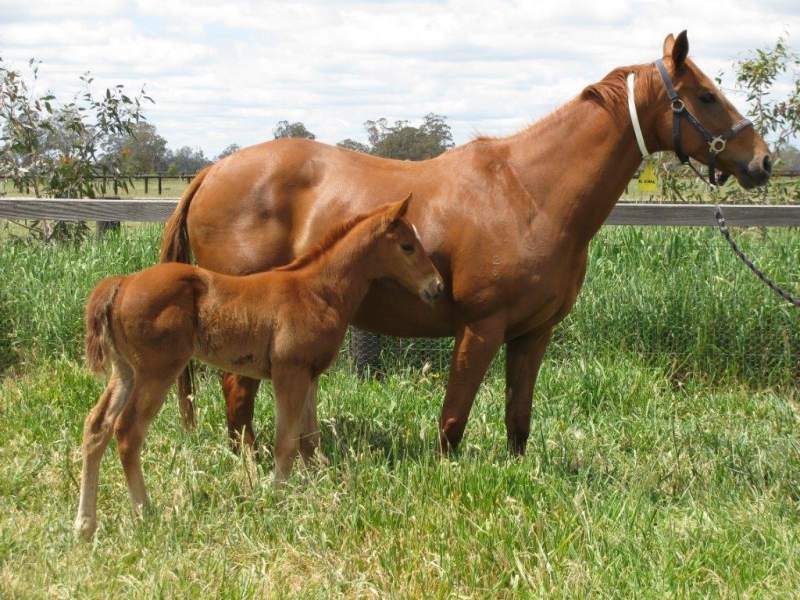 “As a foal she was a lovely leggy and athletic filly with plenty of spirit and attitude. “Her dam was a very good race filly winning a listed race and being runner up in a Group 3 race. Two Bays is sending one yearling to the upcoming Magic Millions yearling sale which will be sold through the Marquee Stud draft. The Eurozone – Flying Wedgetail (Flying Spur) filly is out of a sibling to Group 1 winner Eagle Way (and three other black type winners). The filly received a nice pedigree update when Eagle Way, now based in Hong Kong, won on International Day at Sha Tin racecourse. See the full details of the filly, lot 25. Ferris is also sending 13 yearlings from the Mornington Peninsula to the Inglis Premier Yearling Sale in February/March. Among them are two colts from the first crop of Sun Stud sire Fighting Sun. Among them are a Reset filly which is a sibling to Group 3 winner Galaxy Pegasus, a Pierro colt out of Listed winner Choice Words and a Fighting Sun colt out of Listed winner I’m A Hussy. View the full list of Premier Sale Yearlings being offered by Two Bays Farm. 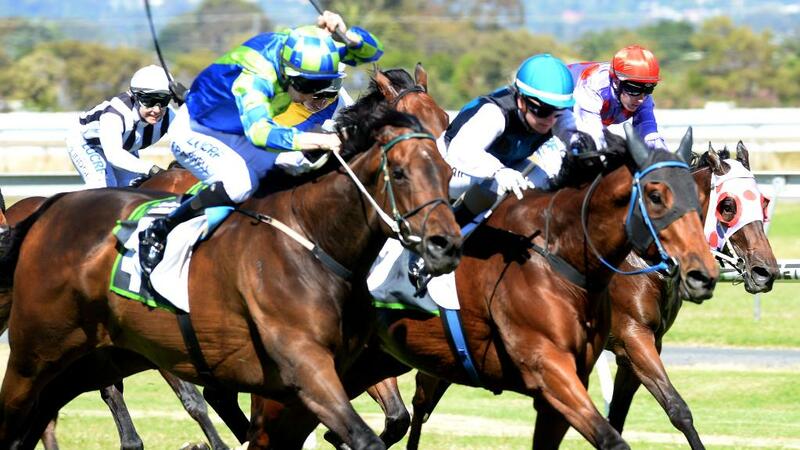 “The Mornington Peninsula is re-establishing itself as a premier location for thoroughbreds. Its ideally suited with undulating hills, fertile soils and temperate climate and historically it’s been home to a strong industry,” Ferris said. Knowing it was from a good home, the buyer must have been tickled pink when they paid just $4,500 for Widgee Turf as a foal at the 2014 Inglis Great Southern Sale. The Turffontein youngster was bred and sold by Little Plains Stud owner Barb Ivill and looked a nice type winning the Planet Ruler Hcp (1400m) at Flemington on Saturday. Widgee Turf had won on debut at Swan Hill in August and put the writing on the wall in town with another good effort second-up at Moonee Valley last month. He is the final foal of Greyhound (Kala Dancer) who has also foaled minor winners by Estambul and Legion. Ivill pensioned Greyhound last year but she is still going strong at Little Plains which is situated on 100 acres in Victoria’s north-east at Laceby near Wangaratta. “I love working in the outdoors with horses and all sorts of animals for that matter,” she said in an interview with racing.com. Widgee Turf’s family has been a winning one for Little Plains. Ivill also bred Greyhound’s half-brothers Field Hunter (Torrential) and Change the Grange (Umatilla) to a total of 25 wins and both were successful at Flemington. Setting up Little Plains in 1968 with her late husband Ted, Barb has been operating the stud for the last 20 years. Little Plains will be back with another draft of yearling for the Inglis VOBIS Gold Sale in April. “I remember the first-ever sale at Oaklands when it was owned by Dalgety,” Ivill recalled. “It was hot with a howling wind and there weren’t any trees! Americain (Ire) filly Aspen Angel delivered more good news for Swettenham Stud at Flemington on Saturday. Aspen Angel pleased her trainer David Bourne, owner-breeders John Newton and John Byrne and the team at Swettenham with a tremendous second to top colt King’s Authority in the Christmas Season Plate (1000m). She kept finding behind the Hillside Thoroughbreds (Nagambie) bred winner who is a Blue Diamond – Golden Slipper type according to Mick Price. Aspen Angel was just the second runner for Americain in the Southern Hemisphere after Geegees Blackprince lined up at Hobart in November. A third runner is possible this Saturday with the Daisy Hill bred Americain Rock entered by Flemington trainer Stephen Brown for the juvenile race at Gawler. 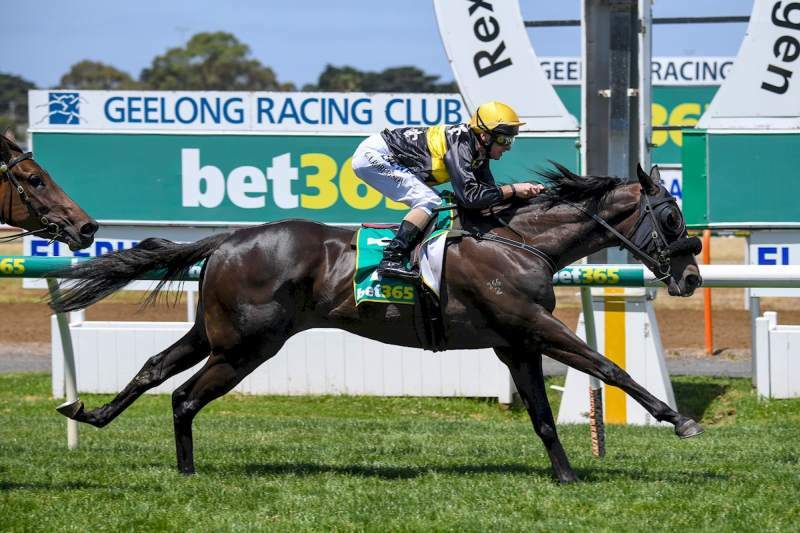 Bourne said the filly is now having a week or two rest and relaxation before coming back to target the Group 3 Thoroughbred Breeders Victoria Stakes (1200m) at Flemington on March 11. Bourne trained her dam Whispering Angel (Not A Single Doubt) who is from a successful Woodlands Stud family going way back to 1980s Blue Diamond winner Black Shoes. “She was a bit scatty. Plenty of ability but wanted to get the race over and done with in the first 800 metres. “Aspen Angel has got her mother’s speed but with more brains and better legs. She’s as sound as a bell and looks like a real black-type filly next year. Melbourne breeders Newton and Byrne race the filly who carries the same colours as racing legends Carbine and Super Impose. Newton and Swettenham owner Adam Sangster named her during a trip to the Aspen Mountains last year. “Americain covered his last mare on the weekend and leaves the farm this week for Kentucky,” Swettenham’s Office Manager Michael Bolton said on Monday. Americain has already sired two early winners in North America while he had first runner in France recently at Deauville. Interestingly the French based 2yo, named Americain Woman, is prepared by Stephanie Nigge and her father Markus. Stephanie became well known in Australia as the travelling foreperson associated with Americain’s Melbourne Cup campaigns. 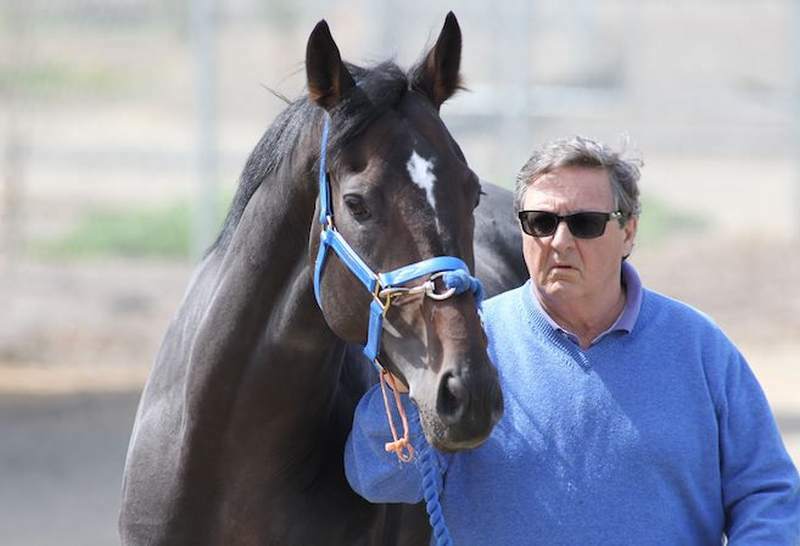 Like Americain, Americain Woman is also owned by Australian businessman and Victorian breeder Gerry Ryan. Kerrie’s Wingrove Park is the latest of Victoria’s ‘smaller’ breeders to establish a winning streak of homebreds. In partnership with Bendigo trainer Shane Fliedner, Wingrove Park has picked up three wins over the past week – making it six wins in as many weeks. Wingrove Park was established at Kerrie (near Romsey) in 1997 by Joe and Daira Vella. Since then the farm has produced a steady stream of winners. This has included black-type winners Fair Trade, Sparks Fly and Classiconi. 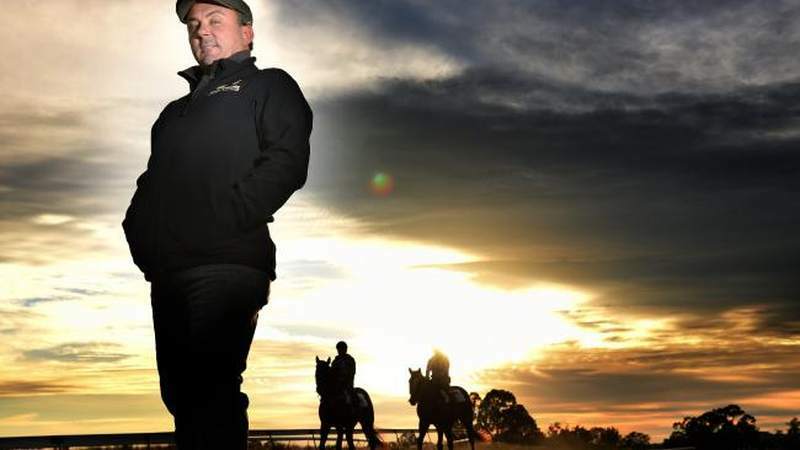 “For a boutique farm it has been an excellent way to conclude the calendar year – with only a select group of broodmares of which it is a wonderful achievement,” Wingrove Park CEO Joseph Vella explained. 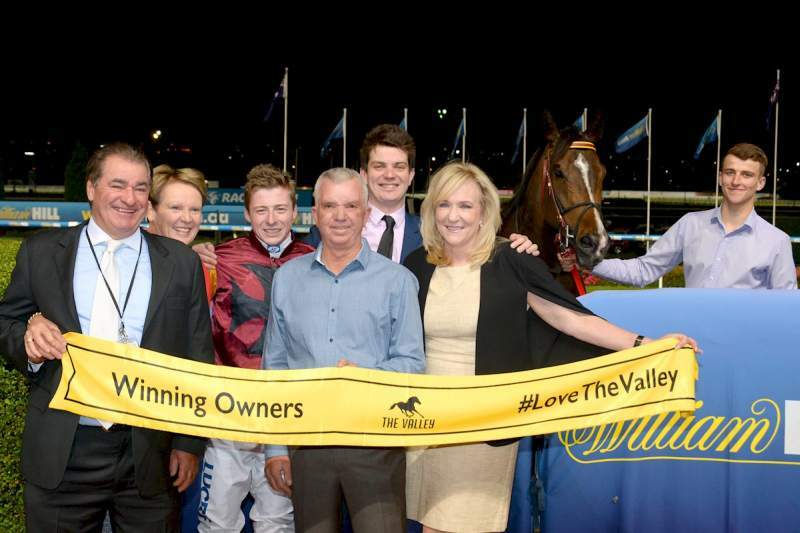 The past week’s winning streak for Wingrove began at The Valley on Friday night when In Fairness was again successful at the circuit – this time over 1600 metres in the LF Sign Group Handicap. The front-running son of Denman led all the way fresh over 1200 metres and rose sharply to the mile, carrying an impost of 61 kilograms, but again ran rivals ragged with Harry Coffey in the saddle. “I’ve always wanted to try him at a mile so we lengthened his work out and thought we might get left alone not thinking we would get the distance,” Fliedner told Racing.com post-race. The five-year-old’s earnings have now passed the $91,075 barrier. It wouldn’t take the stud and stable long to strike again when Silentski scored second-up from a lengthy spell at Wangaratta the following day. The daughter of Gonski is a half-sister to smart stable performers Primitive Man and Silent Man from the Wingrove Park dam Silent Spring. To round out a profitable week, Hard Spark thrilled her owners making it back-to-back victories in the final race at Echuca on Monday. After taking 13 starts to break her maiden, since the blinkers have been removed the daughter of Hard Spun has made it two wins on end. Settling back in the field, the four-year-old savaged the line and got up in the final stride with Harry Coffey once again donning the maroon Wingrove Park silks to victory. On Sunday, Bendigo’s Rod Symons will saddle up a fascinating two-year-old in Crash Cranach at his home track in the $23,000 2YO Maiden Plate (plus $50,000 in VOBIS bonuses). He will be the first ever runner sired by the uber-talented Lee Freedman trained racehorse and now Victorian based stallion Lucas Cranach (by Mamool). The imported Lucas Cranach was a Group 2 winner both in Europe and Australia. But it was his eye-catching runs in the 2011 Melbourne Cup (3rd) and 2011 Caulfield Cup (5th) that demonstrated to racing aficionados what a fantastic specimen he was. 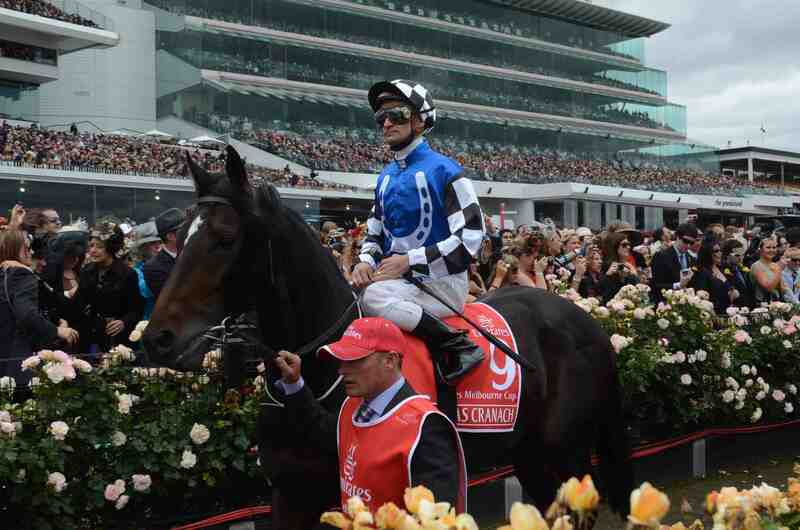 Rod Symons said his youngster Crash Cranach has done everything he has asked of him. “He is a lovely horse and a lovely mover. Looking at him, I certainly wholeheartedly agree with others’ very solid assessment of the type the sire produces. “I was going to tip him out after a trial at Tatura, but this is a good opportunity to give him race experience and its at his home track. Crash Cranach was bred by Bullarook Park Stud at Avenel, which is where his sire now stands as a stallion. He is out of the Danehill Dancer mare Dancing Darl. By the end of the 2016 breeding season, Lucas will have three crops and nearly 200 foals on the ground giving him a good foundation to carve out a career as a successful stallion. The progress of Lucas Cranach certainly further adds to the Victorian breeding industry’s strong push to produce staying types. 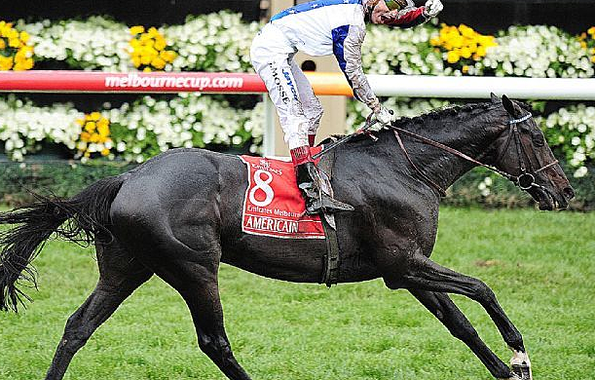 2010 Emirates Melbourne Cup winner Americain could create modern history on Saturday at Flemington. The now Swettenham Stud based sire has his first ever runner on the Australian mainland in David Bourne’s two-year-old filly Aspen Angel. She will line up in the $80,000 Christmas Season Plate which offers an additional $50,000 in VOBIS bonuses to eliigible horses (including Aspen Angel). And Bourne is serious about the Flemington tilt. “I think she is my first ever two-year-old to race before Christmas across my entire training career,” he said. “She has made a natural progression and is worthy of her place in the field. She has jumped-out at home (Seymour) and has demonstrated a good measure of ability and maturity. If the filly was to win, she would become the only 2yo progeny of a Melbourne Cup winner to win at the famed track in recent history. Bred by her Melbourne based owners, John Newton and John Byrne, Aspen Angel is the first foal for her dam Whispering Angel (Not A Single Doubt). David Bourne trained the mare for the two Johns and says she had real speed, but didn’t get to demonstrate that talent properly. “Her career was unfortunately cut short due to injury after finishing runner-up in all three of her starts,” Bourne said. Of the past twenty Melbourne Cup winners, just three have been retired to stand as stallions in the southern hemisphere. Two of those, Americain and Fiorente (at Sun Stud), are based in Victoria and have attracted large numbers of mares in recent years. Americain has had just the one runner so far in the southern hemisphere with Geegees Blackprince stepping out at Hobart last month for a pipe-opener in preparation for the Tasmanian Summer Carnival. In addition, from a small crop of North American foals, he has already produced two nice winners. Shepparton trucking company founder Fred Borg would be proud of the long distance haul made by a filly he bred to record her sixth win of her unbeaten career. Alice Springs trained Desert Lashes, a 3YO daughter of Chatswood Stud sire Reward for Effort, made her first trip to the ‘big smoke’ of Adelaide and came away with the win. NT jockey Raymond Vigar steered Desert Lashes to her sixth straight win in last Saturday’s benchmark 70 Handicap over 1200 metres. Trained by Lisa Lefoe, the filly has taken all before her over two preparations and is now expected to be spelled. Fred, who lives on the farm at Kialla just south of Shepparton, sold the filly through vendor Kristinvale Stables at the 2015 Inglis VOBIS Gold Yearling Sale. She was purchased for just $6,000 and then on sold to the Lefoes at the Red Centre Sale in Alice Springs. Her prizemoney is now just shy of $102,000. Fred has been in the breeding business for quite some years. Although we should add it has not all been equine. Fred was, until recent years, one of Australia’s very best Poll Hereford breeders, operating Margfred Park at Kialla. “I’ve been mucking around the horses for about twelve years and racing for a few years earlier. He now has six to seven broodmares on his down-sized 100 acre property. The dam of the filly, Misha’s Belle (Baryshinokov) is, however, no longer at Kialla having been sold. But her career lasted just the three starts due to multiple tendon injuries. She has produced seven foals with Desert Lashes the best performed of them. Her 4YO brother, named Elite Warrior, was exported to Singapore to race earlier this year and has yet to debut. Fred sells all of his yearlings through Kristinvale, run by Kristin and Stuart Brennan. “They’re lovely people, they do a great job,” Fred says. He has given them three yearlings to prepare for this year’s Inglis Melbourne Premier Yearling Sale including two Reward for Effort colts and an Anacheeva filly. Perhaps the highlight is Lot 528, a grey colt by Reward for Effort out of Hushabye Baby (Hussonet). He is a half brother to the former Darren Weir trained Group 3 winner Scarlett Billows (Street Boss). 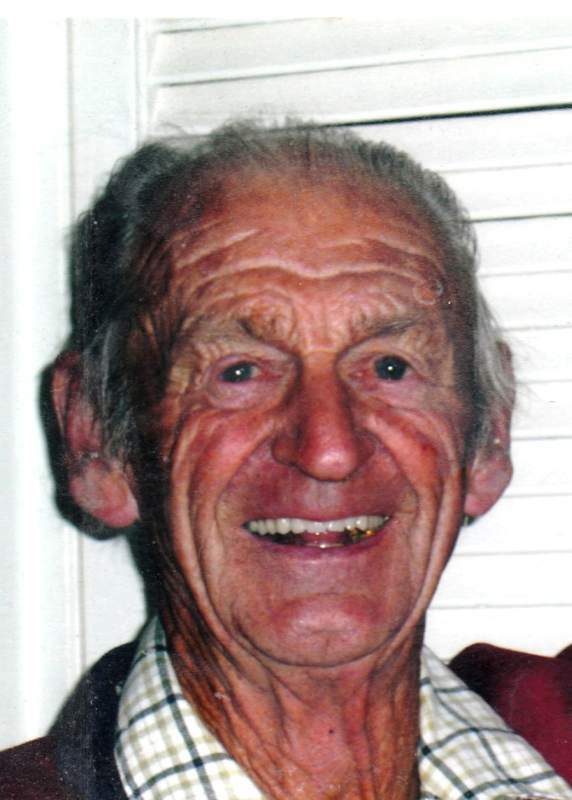 On the 20th of October this year, TBV member and Korumburra based breeder Keith Inglis sadly passed away aged 92 years. He is survived by his beloved wife of 67 years Phyll and three children Ross (current chairman of the Australian Jockeys Association), Kaye and Jan.
Keith was born in Cobden in 1924 and christened Thomas Keith (after his father). He was one of five children. 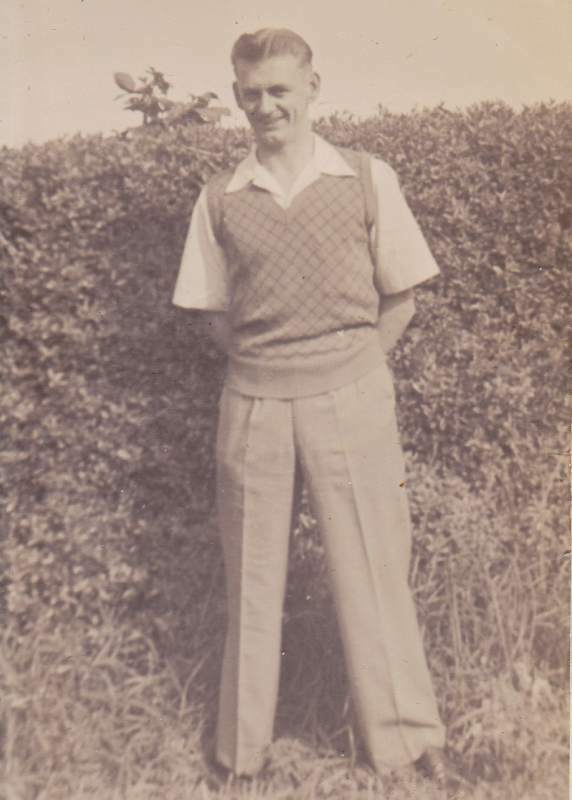 The family moved to Korumburra when Keith was in his late teens. At the age of 18, he went to Werribee to be trained as a milk tester. After receiving his qualification, he returned to Korumburra and began work with South Gippsland Milk Industries. He remained employed as a milk tester for 35 years until 1977. He met his wife Phyll when she was 15 years of age and he was 20. They married five years later in 1949 and had three children. Keith was an active member of the local community joining the local volunteer fire brigade and becoming a scout leader. Phyll and Keith moved to the property they named ‘Silkstone Lodge’ in 1972. Initially they milked cows and then branched into beef. However, at the same time, they purchased two thoroughbred broodmares: Softly Reign (Master Rane) and Dark Hansie (Hansie). Both produced winners with Softy Reign breeding a dual stakes winner in West Mayo (No Mercy). In the 1980s, Phyll and Keith went solely into the breeding and agistment of racehorses. Although the breeding of racehorses is a risky business, they managed to breed many winners. Keith also gained a reputation for rehabilitating injured racehorses. He learnt a lot from family friend Dr Colin Bassett, a veterinarian. Keith read, listened and watch in order to become proficient in handling horses, dealing with injuries and ultimately foaling down mares. His favourites horses were Softly Reign, Blue Rail, her daughter Gay Gem and her grand-daughter Tara’s Range. The latter was recently served by Melbourne Cup winner and now Swettenham Stud sire Americain. In more recent times, Keith become particularly fond of Silkstone Special (Silky) and a retired Arab horse named Hugh. One of Keith’s favourite sayings if something astonishing or unusual occurred was “well, I’ll be buggered!” He couldn’t stop saying it when Collingwood won a flag in 1990! “Although diminutive in stature, my father had a presence about him, born of inner strength. If he was by your side, you felt confident of a positive outcome,” Keith’s son Ross said. Neville ‘Nifty’ Wilson got to know Keith through Ross and their mutual involvement in the Jockey’s Association. In the space of a dozen years, Nifty and trainer Geoff Daffy have bought and raced quite a number of horses bred by Keith and Phyll including tough country cups horse Me Hungi (Lago Delight). On December 4th at Terang, the they trained Rondalago (Lago Delight), bred by Keith and Phyll, to victory at Terang. “He was just a lovely man. Both Keith and Phyll are lovely wonderful people and they just love their horses. One of the biggest and best drafts of Victorian bred yearlings has been lined up for the Inglis Melbourne Premier Sale of 2017. To be held from 26 February to 1 March, the catalogue consists of 771 yearling lots across the two sessions. Last year the Session 1 average was up 14% to $111,000 while Session 2 shot up by a whopping 43% to almost $46,000. Just seven year ago, the Session 1 average was $55,000. 58 Victorian vendors have 602 lots in the released catalogue. This is the biggest number ever except for 2008 which was unique due to the travel restrictions associated with the Equine Influenza outbreak. Session One will see 550 yearlings catalogued including 54 relations to Group winners and 52 yearlings out of Group winners. The Blue Riband Session, held on the Sunday (Day 1), comprises 150 lots. Victorian sired lots make up a significant part of the catalogue. Australia’s Champion 2yo sire and Victorian overall Champion Sire Written Tycoon has the largest number of lots (30). Sun Stud’s two highly promising first crop sires, Fiorente and Fighting Sun, have a great opportunity to make their mark at the sale with 29 lots and 19 lots respectively. Three Bridges’ Unencumbered (13 lots) and Godolphin Northwood’s Kuroshio (7 lots) will also make their Melbourne Premier debuts as sires. “The support we have received from Australasia’s leading breeders is greatly appreciated and evidences the strong position Premier now holds in the yearling sale market,” Inglis’ Simon Vivian said. “Melbourne Premier has become a ‘must-attend’ yearling sale for the most discerning of buyers, with anticipated representation from all states of Australia plus New Zealand, South Africa, the UK, Hong Kong, Japan, Singapore, USA and Malaysia. 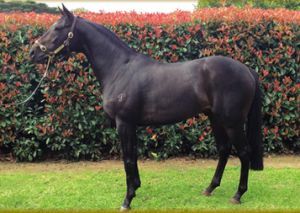 Lot 101, a Pierro colt out of triple Group One winner Keep The Peace (Keeper) – Stonehouse Thoroughbreds. Lot 107, a filly by All Too Hard out of Group 1 Vinery Stud Stakes winner Mirjulisa Lass (Danasinga), the first foal out of the Group One winner. This 2016 sale’s leading vendor Blue Gum Farm has 31 yearlings on offer, while fellow Victorian-based operators Supreme Thoroughbreds (43), Swettenham Stud (38) and Woodside Park Stud (33) have large drafts listed for sale. Rosemont Stud has 32 yearlings while relative newcomers Maluka Thoroughbreds (28) and Stonehouse Thoroughbreds (25) also have sizeable drafts. More than 500 of the catalogued yearlings have been signed up to Super VOBIS which makes them eligible for the lucrative VOBIS Gold program. In addition, every VOBIS nominated yearling by a Victorian based sire will be able to race in a series of $300,000 2yo and 3yo races in April of 2018 and 2019. 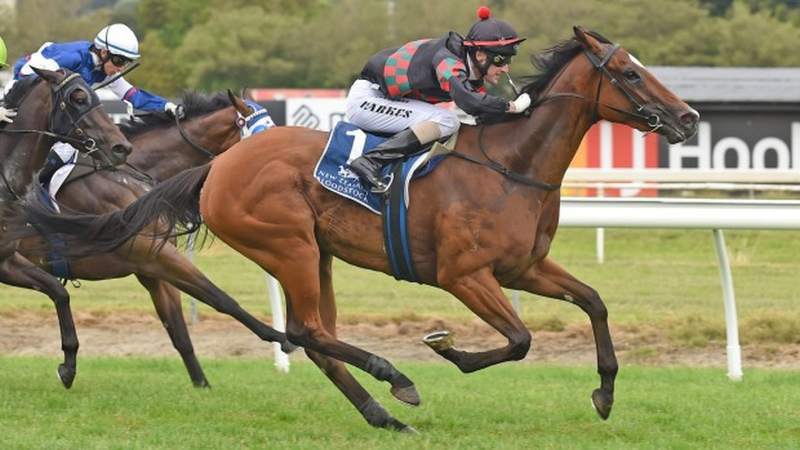 And there was cause for minor celebration on Saturday when the 3yo filly Volpe Veloce (Foxwedge) got her first Group victory at Palmerston North’s Awapuni Racecourse. The reason for cheer is because Rushton Park now owns the unbeaten NZ filly’s dam and younger progeny. The Murchison couple have entered Volpe Veloce’s yearling sister in the 2017 Oaklands sale. She has been catalogued as Lot 365 on Day 3 of the Sale. Volpe Veloce extended her unbeaten record to five wins from five starts in the Group 3 Eulogy Stakes (1600m) at Awapuni. Making the most of a perfect one-out and one-back trail, she hit top gear in the straight and drew away to score by over a length. Trainer Graeme Richardson reckons the filly could get out to 2400m, but is in two minds where to head next. “I will monitor her over the next week before making a decision,” he said. The Johnsons bought her dam Bardego (Barathea) after being among the underbidders for two of her weanlings that were eventually knocked down for $120,000 and $155,000 at the Magic Millions National Sale. “We missed out on her foals so the next best thing was to buy the mare,” Kayley Johnson said on Monday. Rushton Park has 20 yearlings catalogued for the 2017 Melbourne Premier. Apart from the Foxwedge filly, Kayley says other highlights of the draft include a Snitzel – Bright Heart colt (Lot 393) and a Medaglia d’Oro – Celsius filly (Lot 407). 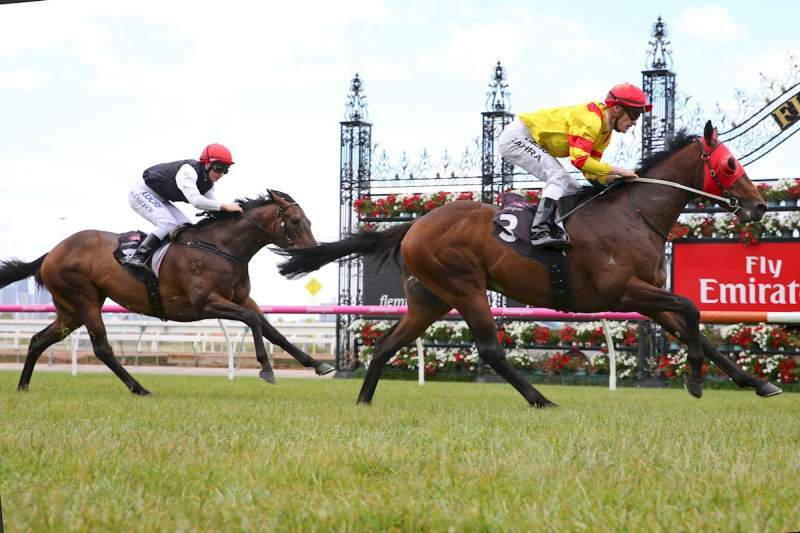 There was more black type success for Victorian breeders in Adelaide on Saturday with the Townsings Lane bred Cavaloce (Testa Rossa) winning the $100,000 Listed City of Marion Stakes (1200m). Trained by Will Clarken, Cavaloce was to face stablemate and race fancy Mio Dio (God’s Own), a gelding bred by Nagambie’s Basinghall Farm, but he was scratched at the very last moment due to a bout of colic. Cavaloce showed no signs of missing her stablemate though and hit the line full of running under jockey Todd Pannell to record her second stakes success after capturing the Durbridge Stakes in October. 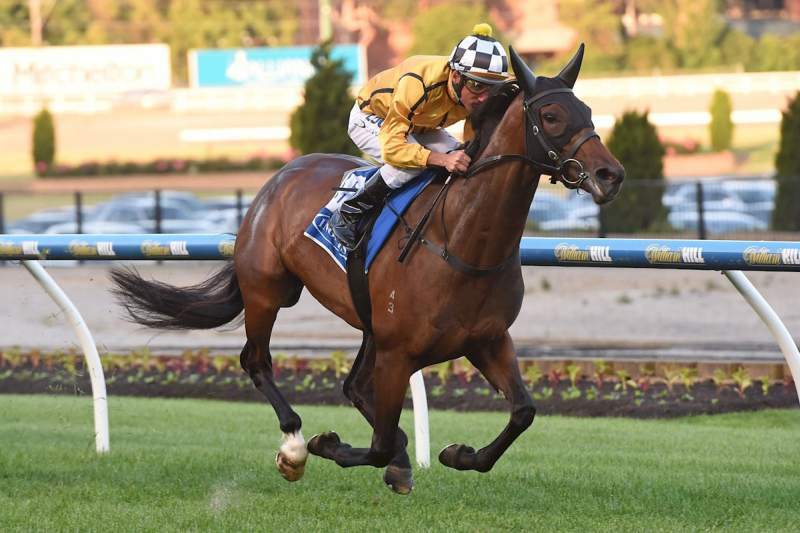 Now a 6YO mare, Cavaloce appears to have found a new lease of life since switching to Clarken mid year and has produced four wins – two at black type level – a stakes third and a Group fourth from eight starts for the stable. Cavaloce was bred by Bernie and Jan Mortimer’s Townsings Lane Farm and sold for $56,000 through Supreme Thoroughbreds’ draft at the 2011 Inglis Great Southern Weanling Sale. “I remember her well … really neat type of filly,” Supreme Thoroughbreds’ Neil Shaw explains. “We’ve had a lot to do with Bernie and Jan over the years … as a matter of fact, on the strength of that filly, we bought into the dam (Refit) as well. “Actually, Bernie and Jan’s place at Diggers Rest is one of four Supreme properties and the ‘home’ for our broodmares. “That’s where Cavaloce’s mum is right now … she has an unraced Foxwedge 2YO which we’ll race ourselves and a lovely foal at foot by Smart Missile. “She’s had a bit of trouble getting in foal two years in a row, but was covered by Brazen Beau this spring and is currently in foal … fingers crossed! Supreme will also take a small, but select draft of yearlings to the Inglis Easter Yearling Sale in Sydney in April. This is on behalf of Rob Crabtree’s Dorrington Farm. Shaw and wife, Sue, set up Supreme Thoroughbreds 10 years ago with Brent and Adrienne Grayling and the 2017 sale is the eighth Premier for the farm. Swettenham Stud has jumped the blocks delivering the first updates for its consignment to the 2017 Inglis Melbourne Premier Sale. And the Melbourne Cup winning sire should have his first ever Melbourne runner on Saturday to demonstrate his stallion credentials with David Bourne’s 2yo filly Aspen Angel accepted for Race 1. With 38 yearlings, Swettenham is second only to Supreme Thoroughbreds (43 lots) among vendors with resident sires Americain (USA), Master Of Design and Equiano (Fr) all represented at Oaklands. The Americain – Northeast Note filly (Lot 598) received a pedigree addition within 24 hours of the online catalogue being released when her half-sister Northkape won first-up at Cranbourne on Friday. Northkape (Kaphero) completed a double for trainer Robbie Griffiths and stable apprentice Nathan Punch. “It worked out well. The speed was on up front and she settled in a nice spot behind the leaders. She came off the fence at the top of the straight and really hit the line,” Punch reported. Swettenham owner Adam Sangster and Limerick Lane’s Gerry Ryan bred Northkape and the Americain filly being prepped for the Melbourne Premier at Nagambie. Their dam’s half-brother Berlioz won the Listed VRC St Leger and the family goes back to iconic broodmare Eight Carat. Northkape cost just $5,000 at the 2014 VOBIS Gold Sale and that looked stunning value when she won the lucrative $130,000 Inglis VOBIS Gold Plate (1000m) at Cranbourne in April. She is raced by Chris Dickinson (Sharing Winners) and Dean Humphries (Clanbrooke Racing). Swettenham’s Americain – The Gem filly (Lot 287) at Melbourne Premier was the subject of a stakes winning update at Ascot on Saturday. She is from a half-sister is the dam of rising stayer Kia Ora Koutou who won the Listed JRA Trophy (2200m). 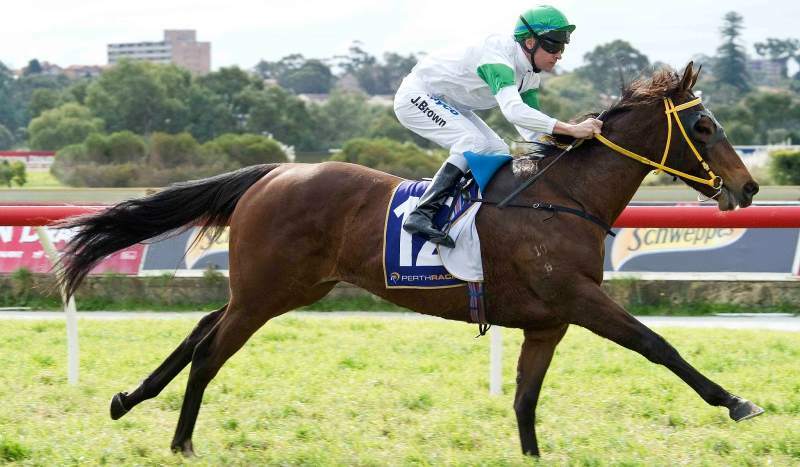 Kia Ora Koutou (Blackfriars) has been installed a $3.30 favourite for the Group 2 Perth Cup (2400m) on New Year’s Eve. Americain averaged $65,300 when 17 of his first-crop found new homes at Oaklands earlier this year. 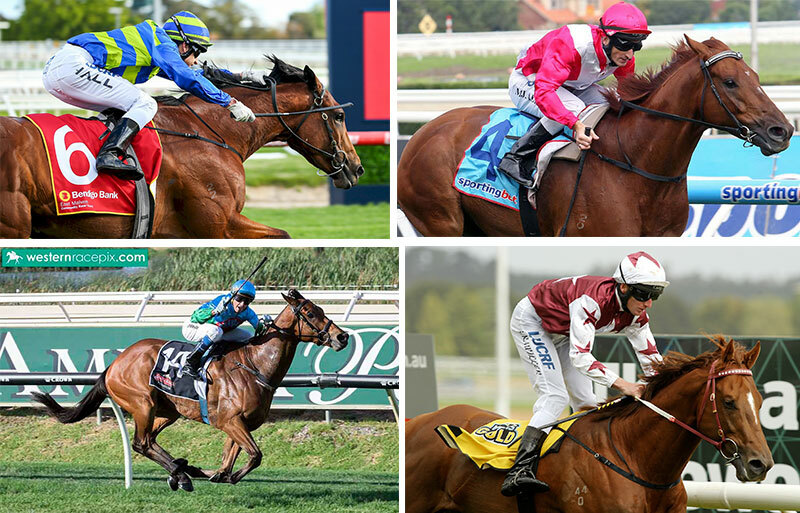 There are another 12 yearlings catalogued for the 2017 Melbourne Premier. Malibu Style continued the winning run for Magnus with a well-deserved victory in the Listed Crawford Stakes (1000m) at Ascot on Saturday. Magnus has a great strike-rate in Perth with 4 of his 13 stakes winners based west of the Nullarbor. Group 1 Winterbottom Stakes winner Magnifisio has been a spearhead for the Sun Stud resident sire while The River (Listed Perth Stakes) and Great Shot (Listed Belmont Guineas) added their names in black-type this year. Malibu Style (5g Magnus – Origami by Fusaichi Pegasus) took 26 starts to win in stakes company and connections are quietly confident he can double up on New Year’s Eve. “The speed map had him tracking Smoko and that’s the way it worked out. He was on the bridle and let down with a strong sprint in the straight,” trainer Neville Parnham said. Malibu Style was a $40,000 buy at the 2013 Inglis Classic Sale. He is from a half-sister to the Parnham-trained Excelorada who completed the Crawford Stakes – Summer Scorcher double in 2012-13. Magnus (Flying Spur) stands at Sun Stud in association with leading Victorian breeder Rob Crabtree and his fee rose to $19,800 (inc gst) this year. Crabtree’s red and white checked colours were in the frame at Moonee Valley on Friday night with eye-catching debutante Catchy. After dismounting, winning jockey Craig Williams compared her to champion filly Miss Finland! Catchy is by Fastnet Rock and, like Malibu Style, is from a Fusaichi Pegasus mare. She cost Crabtree $220,000 at this year’s Inglis Easter Yearling Sale and holds Group 1 nominations for the Blue Diamond and Golden Slipper. Not to be outdone, Crabtree continued the winning run with his homebred grey filly So Belle (So You Think) scoring her maiden victory at Werribee. She is out of the Irish mare Belle Famille and, like Catchy, trained at Lindsay Park. Queensland trainer Bryan Guy has black-type plans for Musk Creek Farm graduate Starcourt on New Year’s Eve. Starcourt (Stratum) will be set for the Group 3 Vo Rogue Plate after winning his maiden at Doomben on Friday. The Hong Kong owned galloper was bred by Musk Creek, based at Flinders, and sold by them for $300,000 at the 2015 Gold Coast Magic Millions Sale. “I know it is a big step up but Michael (Rodd) was very impressed with him. 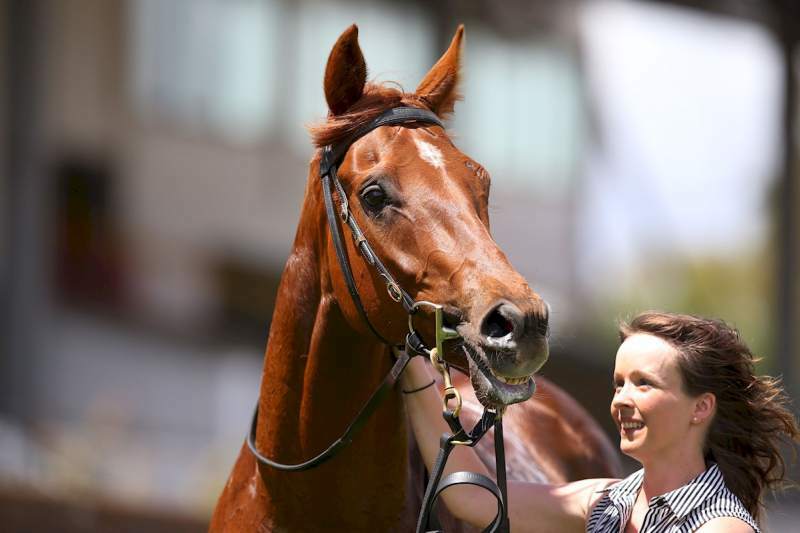 He was never going to lose today,” Guy said after the chestnut’s four-length victory in the Amgrow Plate (1200m). Starcourt is the final foal of Courtney’s Cuddles (Brief Truce) who won at Caulfield and Moonee Valley for trainer Pat Hyland as well as being stakes placed at Flemington. She was purchased off the track by Musk Creek owner David Kobritz and his bloodstock advisor Tim Stewart for $125,000. Meanwhile, Musk Creek homebred Gruosi opened his account at Wangaratta on Monday. The Lonhro 3yo is trained by Mick Price and is the first foal of Listed MVRC Alexandra Stakes winner Sublimity (Testa Rossa). Gruosi was passed-in when failing to reach a $125,000 reserve at the 2015 Melbourne Premier. His pedigree wasn’t long improving with close relation Palentino winning the Group 1 Australian Guineas and Group 1 Makybe Stakes this year. Musk Creek has catalogued a Sebring half-brother to Gruosi (Lot 273) for the 2017 Inglis Melbourne Premier Sale as part of its consignment of 14 yearlings for Oaklands. The Flinders nursery returns to the Gold Coast next month with a draft of 12 yearlings for the Magic Millions. Among them is the Sebring half-brother to last-start Adelaide Group 3 winner Beirut (Lot 164) being sold (as agent) for another Flinders breeder in Andrew Goulopoulos. A dozen wins in a week! What a sire! What a week it was last week for progeny of champion Victorian sire Written Tycoon. The Woodside Park stallion had no less than 12 of his own greet the winning post in style. They saluted in five different states across ten separate racecourses demonstrating their versatility. Written Tycoon tops the Victorian sires premiership (by earnings) with progeny earnings of $2.84 million just over 4 months into the racing season. In terms of active Victorian stallions, he is followed by Sun Stud’s Magnus and Darley Northwood’s Reset. The Victorian second season sires table has Darley’s Helmet out front with progeny earnings of $428,000 and 9 winners. Next comes Larneuk’s Ilovethiscity followed by Sun Stud’s Moshe. The Victorian first season sires will be a fascinating watch over coming months. Sun Stud’s Squamosa already has a winner in New Zealand while Swettenham’s Americain has his first Australian mainland runner potentially at Flemington on Saturday. Others with good numbers of first crop foals to challenge these two young sires could be Lucas Cranach (Bullarook) and Jungle Ruler (Bombora Downs). Victorian studs, Rosemont and Woodside Park, were major players at this year’s European broodmare sales and none more so than in the Arqana auction ring at Deauville, France. It finishes a heady year of major broodmare investment by Victorian farms. International newcomers to the southern state and established farms alike have both been dominant at sales in both hemispheres in selecting and buying broodmares of the highest quality. Rosemont purchased four lots in Deauville, adding to their recent purchases at the Goffs November Breeding Stock Sale and the Tattersalls Mare Sale. “We love the Arqana sale,” Anthony Mithen told ANZ Bloodstock News. “It’s probably my favourite breeding stock sale of the year given the quality of horses, quality of hospitality and quality of wine. It’s got the lot. 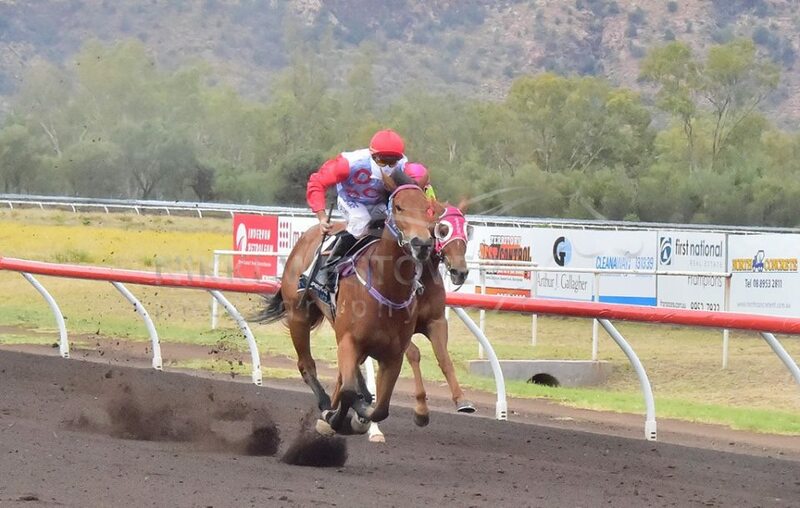 “Unfortunately I couldn’t go myself this year, but great mates of ours and clients Ed and Libby McKeon (Palya Bloodstock) were able to go up and get the job done and what a job Ed did for us. “He was a bloodstock agent back in the 70s and 80s who actually bought Manikato as a yearling and he’s loved getting back amongst it. The most expensive of Rosemont Stud’s four purchases was Lot 196, who they purchased for €130,000. Sold in foal to Darley shuttler Teofilo (Galileo), the mare Clarify (Zamindar) is out of the Group One-placed mare Bright And Clear (Danehill) making her a half-sister to the now Lee and Anthony Freedman-trained Group Two winner Exospheric (Beat Hollow). A five-year-old, Clarify was unraced and has a foal by Camelot (Montjeu). “We are delighted with the range of mares we’ve picked up and look forward to the process of foaling them down in Europe and then getting the mares back to the Southern Hemisphere to be covered by the stallions at the farm and also those we have shares in,” Mithen said. The Woodside Park team have returned to Deauville this year and purchased four lots through Damon Gabbedy’s Belmont Bloodstock. They will all be brought back to Australia. Woodside Park purchased at the sale three years ago and have been pleased with the first foals bred out of those mares. “We bought a few mares here going back three years ago now and the first foals out of those mares are now yearlings and they are selling at the Gold Coast and the other yearling sales in 2017 and they are some of our best yearlings,” Woodside Park’s Matt Tillett told ANZ Bloodstock News. Tillett said that the neater horses which are available to buy here are suited to their resident sires. “The horses here are often a bit leaner and neater than the horses back in Australia and we are lucky that we have a couple of big strong stallions. We know that we can buy a smaller filly, with a bit of black type from an amazing European family over here and then cover them to hopefully produce a big strong yearling back home,” continued Tillett. Three years ago the operation purchased Listed winner Snow Bell (Kendargent) for €65,000. The mare’s first foal, a colt by Zoustar (Northern Meteor) is catalogued as Lot 467 at next month’s Magic Millions Gold Coast Yearling Sale. 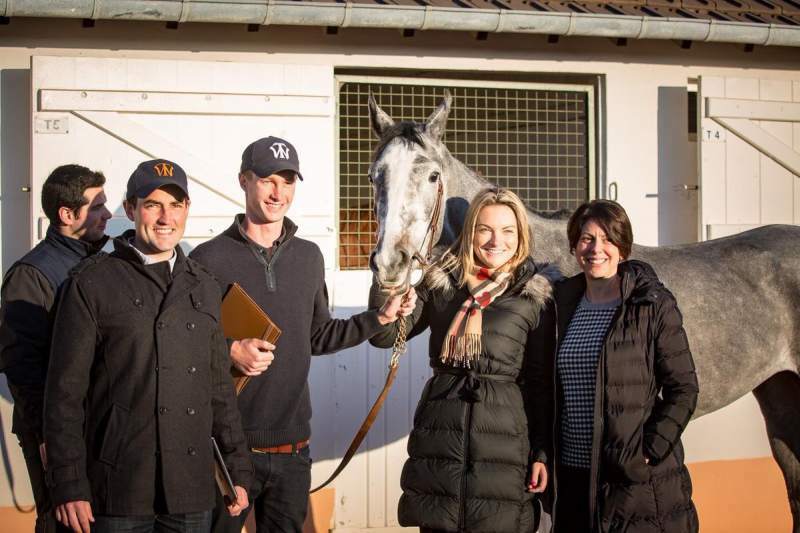 This year at Arqana they bought another filly, Kutina (Kendargent) for €100,000. Catalogued as Lot 105 from the draft of Wertheimer & Frere, the three-year-old has won once and is out of the Listed winner Soldera (Polish Numbers) while her third dam is Fanfreluche (Northern Dancer). “The Kendargent filly we bought off the Wertheimers, who arguably have some of the best pedigrees in the world. We just wanted to buy into one of their families. “We (also) bought two mares off the Aga Khan…He has arguably the best broodmare band in the world and to buy two mares from his families that have been built up over generations is fantastic and we’re looking forward to having those mares on our farm. “Damon Gabbedy always does a great job of looking after all of the Aussies who get to the Arqana sales. “The town of Deauville is magnificent and the Arqana sales are so much fun.